Bloemfontein is one of the biggest cities in South Africa. The city has been selected as one of the 9 host cities for the 2010 FIFA World Cup in South Africa. The Free State stadium has been slightly upgraded to conform with FIFA regulations. I’ve not visited this city since 1997, but from what I’ve heard it’s gotten considerably bigger over the last few years. Maybe I should go an check it out sometime. There seems to be more than just the Cheetahs rugby team in the city. 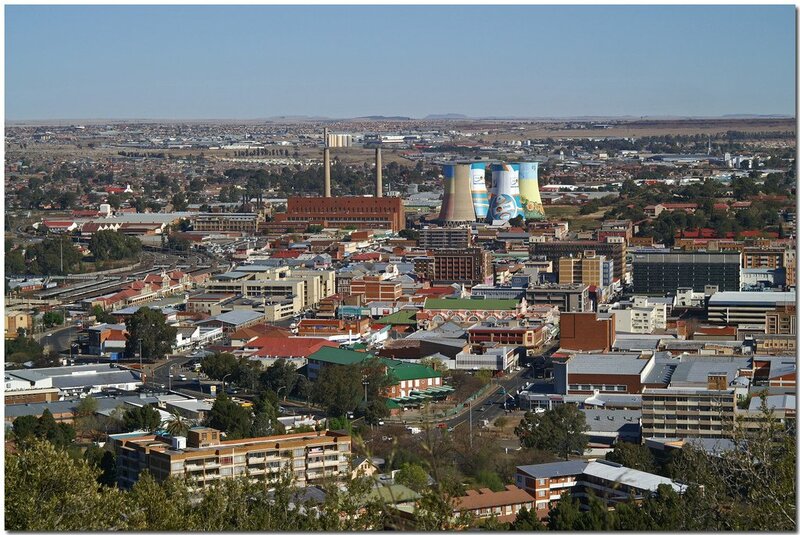 Bloemfontein has been selected as the topic for the 10 facts section of this blog for today. If I’ve left out any facts about Bloemfontein, please comment on this post. Bloemfontein (meaning “fountain of flowers” in Dutch) was founded in 1846 as a fort by Henry Douglas Warden (an English army major). Bloemfontein is the provincial capital of the Free State province and the judicial capital of South Africa. The legislative capital of South Africa is Cape Town and the administrative capital of South Africa is Pretoria. Today this city has a population of roughly 370,000 people. Bloemfontein is popularly and poetically known as “the city of roses”. There’s an abundance of roses in the city. An annual rose festival is held here. The city’s Sesotho name is Mangaung, meaning “place of cheetahs”. The city became part of the Mangaung Local Municipality in 2000. Following the Battle of Paardeberg during the Anglo-Boer War (in 1900) British forces captured the city and built a concentration camp nearby to house Boer women and children. Today the National Women’s Memorial on the outskirts of the city pays homage to those that died in the concentration camps during the war in South Africa. Grey College, the third oldest school in South Africa and the oldest school North of the Orange River is situated in this city. Allan Donald (South African cricketer), Francois Steyn (Springbok rugby player), Hansie Cronje (former South African cricket team captain), Os du Rant (Springbok rugby player), Ryk Neethling (Olympic gold medalist swimmer), Shaun Morgan (lead vocalist of the band Seether), Zola Budd (international long distance athlete) and J.R.R. Tolkien (author of The Hobbit and The Lord of the Rings) were all born in Bloemfontein. The largest fire service museum in South Africa is situated at the Ehrlich Park fire station in Bloemfontein. It was forecast at one stage in the 1970`s that, because of the rate of desertification, Bloemfontein would be a part of the Karoo by 2030. Contemporary climatologists are not so sure about this.